Lanternshop: Our biggest ever paper lanterns back in stock! 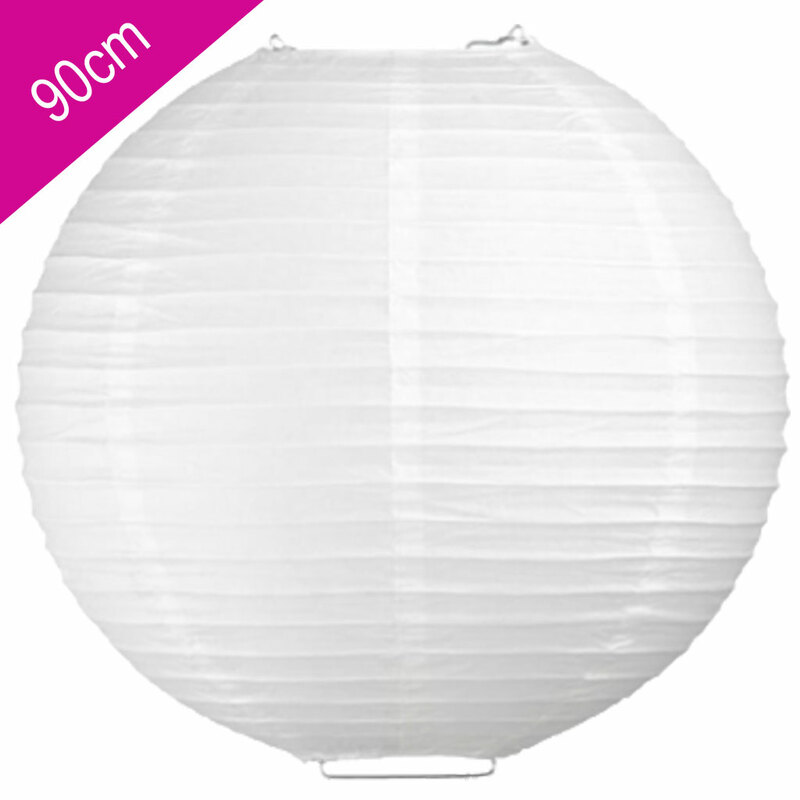 Our huge size 90cm white wedding paper lanterns are back in stock! Team with our other paper lanterns - whiteavailable in many sizes from 12cm, 20cm, 35cm, 50cm, 60cm, 75cm and 90cm! Hang in clusters with mixed sizes for spectacular wedding decorations in marquees, restaurants or venues. Co-ordinate with our wedding accessories - ribbons, organza, crystal droplets for stunning effects!